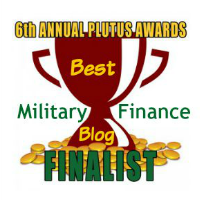 Even after reading the articles and ratings for charities, I am still unsure how to help military families. I am overwhelmed with "guilt" gifts (sewing kits, actual $1 bills, etc.) and someone sold my name from recent donations that I thought were legit organizations. Now I am afraid to give at all. Surely we can do better! Sue, you're absolutely right. Surely we can do better. Please check back with us after the holidays. We'll publish a list of highly-rated veterans charities for those of you who would like to make donations but want to make sure your money is going to the cause. Even legit organizations sometimes share or "rent" their mailing lists. This is another way they generate revenue. If you don't want them to share your name and address, make that clear in your communication with them, and tell them if they can't honor that simple request, you won't donate to them. 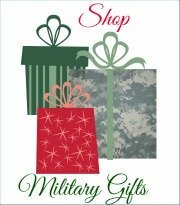 Comments for Direct help to military families? I am sure you were trying to help when you contacted the VA for the Capt. But please, never, never, never, do that. They will use any complaint, request for help or any other contact with them against the veteran. Except asking for medical help, always use an attorney when contacting the VA.
Joe, thank you for your comment. When I contacted my local VA hospital, I did not identify the Captain. I deleted his identifying information prior to forwarding his e-mail. Sorry I didn't make that clear earlier. But in general, your advice is spot on. If possible, have an attorney talk with the VA on your behalf when you're discussing anything related to a claim for benefits. And that goes for many other situations as well, not just the VA.
You never know when something you say could be prejudicial to your case (used against you). Your last letter that you sent to read is the same comment I am sure she or he will receive. I have written 25 different groups and have been told as you have told me, "Talk to the VA." They don't help in paying for medications. Then I write how about a car loan or other expenses and you will get the same answer, "OH, thanks for serving BUT WE DON"T HELP." And don't tell us to go to the V. A. since they were the first. Yes, I even wrote the deputy Director and he won't respond. So it is hard to wonder just who you are fighting? Captain, I'm truly sorry for the troubles you are encountering. I'm certain there is some help for you somewhere. Since your first letter to me was concerning the VA, I forwarded your letter to my local VA medical center for response. I requested additional information from you in order to get you a better answer, but you failed to respond. Without any more information than you provided to me, no one will be able to answer your question, because there simply isn't enough detail to determine why you're getting the answer you are from the VA. The VA does provide medications, but as they responded to you, they must be FDA-approved medications, not experimental drugs or "alternative therapies." If you would like to send me another letter and establish communication, I will see what I can do to find you some help. But you will have to provide more details than were in your original letter. Without them, it isn't possible to put together the pieces necessary to answer your question. There are places where you should be able to get help, and if you will write me again with more details about your injury and your current situation, including your financial problem, I will see if I can help you find them. I understand that because of your TBI, you may have trouble communicating what you want to say, and maybe writing down your thoughts will help with that process. My husband had a mild TBI also, so I am somewhat familiar with its symptoms. I do want to help you, but you will have to help me in order for me to do so. We do appreciate your service, and there are more people than you can imagine who want to help you. By the way, I don't get paid for the time I spend helping service members through this site. It is done as a labor of love. Like you, I would welcome some appreciation for my efforts. So please remember that when you wish to make rude comments. I am taking time out from my family on Christmas Eve to respond to your post.